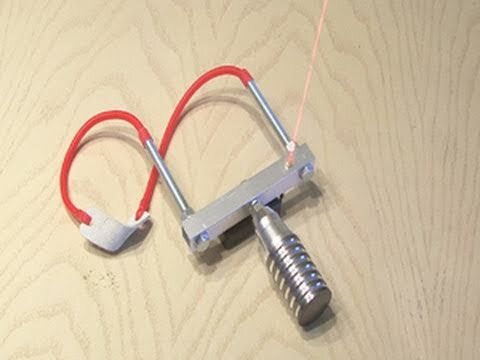 Make a heavy duty, high-powered, laser guided slingshot! Use with care and never shoot any living thing with this slingshot. CAUTION!! Lasers can be dangerous! Do not point them at any living thing! DO NOT look into the beam or the reflection of the beam. Always wear laser goggles. ← $5 Flammable Bar Trick!